In the “War on Terror” – or whatever it is being called this week – America’s leaders tell us the key to stopping ISIS or “radical Islamic terrorism” is to use the Muslim community here in the U.S. and Arab leaders abroad. This is dangerous, foolish, and will continue to lead us down the path of defeat. This is the #1 lie we are being told by our leaders and reveals how ignorant and clueless they are about our Islamic foe. This is also a talking point supplied by the Muslim Brotherhood to our leaders who regurgitate it with willing giddiness. This is Information Warfare. It is the center of the strategy for the Global Islamic Movement. 1. Since 9/11 the Muslim community has been no help to intelligence and law enforcement at the strategic level. Not only has UTT reported this, but FBI officials and British intelligence officials have publicly stated they have received zero real assistance from the Muslim community. Recently in Europe, leaders of jihadi cells were captured in neighborhoods where Muslims were aware of the presence of the jihadis but never said a word to law enforcement. In an April 2016 poll, two thirds of British Muslims told pollsters they would not alert law enforcement of “terror plots” if they had prior knowledge. 2. It is unlawful in 100% of Islamic doctrine (Sharia) for Muslims to assist police in any activity which targets Muslims, and it is unlawful in 100% of Islamic doctrine (Sharia) for a Muslim to do anything which does not further the cause of Islam. 3. 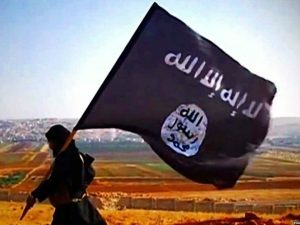 The strategies and plans of the U.S. government in the “War on Terror” have catastrophically failed because our leaders have still – 15 years after 9/11 – not taken the time to know and understand the threat of the Global Islamic Movement, it’s doctrine (Sharia), nor aggressively pursued the jihadi network here in the U.S. which is made up of the leaders of the most prominent Islamic organizations in America. 4. Most noteworthy, the vast majority of Islamic leadership in America (and the West) are a part of the Global Islamic Movement supporting and participating in the jihad. Why would America’s leaders want to use these same enemies to continue to drive our domestic counter-terrorism efforts and our foreign policy as it relates to Islamic nations? Because it is sure to lead to our defeat – exactly the outcome our enemies want. Absolutely! And for starters look no further than “Pinocchio” and the “war hero”, the current & penultimate directors of the FBI, who in turn effectively knelt in “submission” to Islam at the behest of the CIA’s Islamist Director (rather than refuse, or resign) when instructed to deny their subordinates access to 1600 pages of training & operational data due to content referencing the lethal reality of Islamist terrorism & Muslims. And as if said foregoing outrage to his oath — and to the lives of his special agents — weren’t enough, rather than react responsibly to the slam-dunk grouping of fact surrounding multiple threats to U.S, national security he recently reviewed, “Pinocchio” instead winked in behalf of elitist immunity and inserted the keystone of a ceremony which will possibly include the presentation of the country’s nuclear codes & football to an egomaniacal “scorned woman” who allegedly couldn’t find “truth” with a seeing-eye dog. Spot on observation. Using Muslims to defeat ISIS makes as much sense as using Communists to defeat the USSR or “moderate” Nazis to combat Nazism. Our leaders fall into two categories. The Republican leadership needs a big infusion of moral courage. This is also why it is government and MSM policy (one and the same) to refuse to say or write the truth about Islam, because the truth is offensive to them – the truth exposes their methods and agenda. They don’t want to offend the “moderates” (oxymoron) with the truth. So we are all cowed into submission so as not to offend this duplicitous “resource” that we’re stupidly relying on.